Senior Maya Schumer is interested in mindfulness meditation training as a mental health intervention. However, because it is still unclear just how much training is needed to produce effects, Schumer’s Dietrich College Senior Honors Thesis will assess whether brief mindfulness meditation—training that is two weeks or less—has a significant effect on emotional regulation and wellbeing. Since last February, Schumer has been working with her advisor, Associate Professor David Creswell to conduct a meta-analysis, which is a systematic review and analysis of the available research articles on a topic. So far, she has found and evaluated about 90 relevant articles and will soon combine the data from all of them together. She will then conduct analyses to determine whether there is an overall effect of brief mindfulness training. Schumer has also been collaborating with Creswell on an imaging study investigating the potential stress-buffering effects of self-affirmation, a process by which participants think about their most important values. 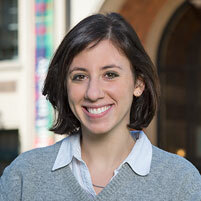 She was recently awarded a Small Undergraduate Research Grant (SURG) to fund this work. Aside from her research, Schumer also helped start a Carnegie Mellon University chapter of Active Minds, a national organization dedicated to helping students speak openly about mental health issues. As president, she helped plan the organization’s first event, called Mental Health through Music, and says she has plans to spread awareness about CAPS, the university’s counseling center. Eventually, Schumer plans to apply graduate programs in clinical affective neuroscience so that she can study the brain structures related to mental illnesses and how mindfulness and other behavioral interventions can intervene. She says that the Psychology Department’s research-oriented culture has helped her feel more confident in pursuing this path. 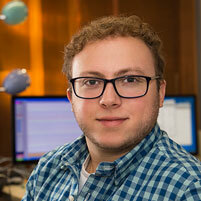 In just three years, Science and Humanities Scholar Adam Dickter has built an impressive research resume. It all started his freshman year when he took Professor Marlene Behrmann’s Hot Topics in Psychology seminar. Intrigued, he approached Behrmann, the Cowan Professor of Cognitive Neuroscience, about research opportunities in the Psychology Department. The following summer, Dickter won a SURF, a Small Undergraduate Research Fellowship, to conduct a study in Behrmann’s lab. The study investigated how priming participants with either holistic or detail-oriented stimuli affects facial recognition in the left and right hemispheres of the brain. Dickter presented the results of this work last May at the Inter-Science of Learning Center’s student and post-doc conference. Now, Dickter is working on a new project that involves an EEG methodology called Steady State Visual Evoked Potential (SSVEP). Researchers are able to collect data more quickly with SSVEP than with traditional EEG methods because in SSVEP, participants see stimuli several times per second. Behrmann’s lab is the first in CMU’s Psychology Department to use SSVEP. Last summer, Dickter won an Ireland Award - an undergraduate research grant - to stay at CMU and help implement it. Dickter was recently awarded a SURG that will continue to fund this work. In addition to conducting his own research, Dickter wants to help prepare the next generation of psychological scientists. He recently joined Project Ignite, a CMU student organization that connects local high school students with college mentors. The mentors then help their mentees to plan and execute a project related to their future academic or professional interests. Dickter plans to help his group put together a neuroscience project. 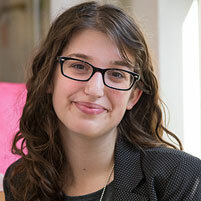 Senior Arielle Cohen exemplifies Carnegie Mellon University’s interdisciplinary spirit. Her undergraduate experience has been a unique blend of history, psychology and medicine. First, though she’s a psychology major, Cohen has been conducting research in the History Department for the past three years. Her work, directed by Professor Steven Schlossman, focuses on the story of Louis Tenette, Los Angeles’ first African American juvenile probation officer. Simultaneously, Cohen has been working at CMU’s Children’s School, an on-campus laboratory preschool and kindergarten. Aside from the positive atmosphere, which she says is the “perfect way to start the day,” Cohen enjoys The Children’s School because it allows her to apply what she learned in Psychology Professor Sharon Carver’s Principles of Child Development course. She has long been interested in learning and development processes and says it’s fascinating to watch the children master new concepts like letters and numbers. In addition to these activities, Cohen has been taking courses in the pre-medicine track and is now applying to medical schools. Because of her interest in children’s development, she is seriously considering specializing in developmental pediatrics, a branch of medicine focused on treating children with developmental disabilities. Two summers ago, she had the opportunity to shadow a developmental pediatrician at the Cleveland Clinic and was impressed by how they used information from children’s social interactions to help form a diagnosis. Regardless of the direction she chooses, Cohen believes medicine is an excellent blend of her varied interests in both science and humanities. “There is an overlap of the two in medicine because you consider sociological and psychological factors as well as the organic causes of disease,” she said. She is looking forward to contributing to the medical field on both a large-scale, through research, and on a one-on-one level with patients and believes that her psychology training will be especially helpful at the patient-level.